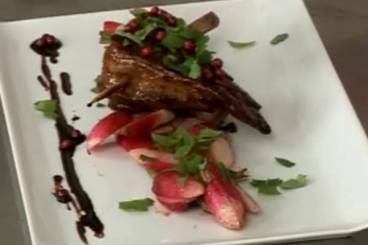 Duck breast wrapped around red radish and glazed with honey and soya sauce. This is an easy and quick-to-prepare recipe that will leave a good impression on any dinner guest! 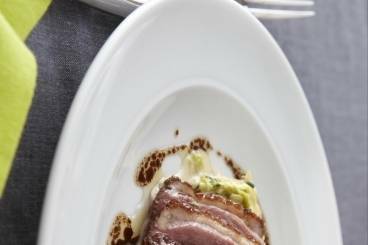 Duck breasts glazed with honey and 5 spice and served with creamy cabbage and bacon lardons. 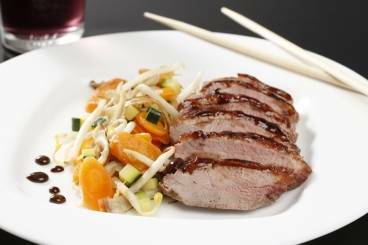 Pan-fried duck breast cooked in a soy sauce, balsamic vinegar and honey glaze served with stir fried vegetables. 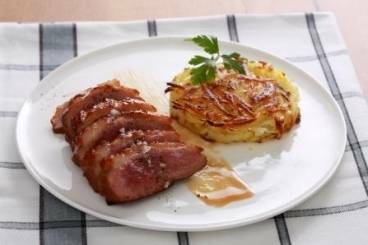 Duck breast cooked with a balsamic vinegar, honey and orange glaze served with a crisp potato and Jerusalem artichoke galettes. 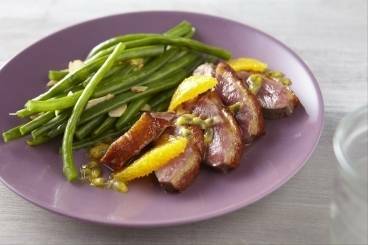 Barbary duck breast cooked in a passion fruit and orange glaze served with toasted almonds and green beans. 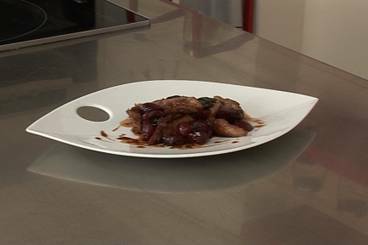 Pan-fried barbary duck breast served with seared foie gras, a velvety celeriac purée, poached pears and a vanilla drizzle.